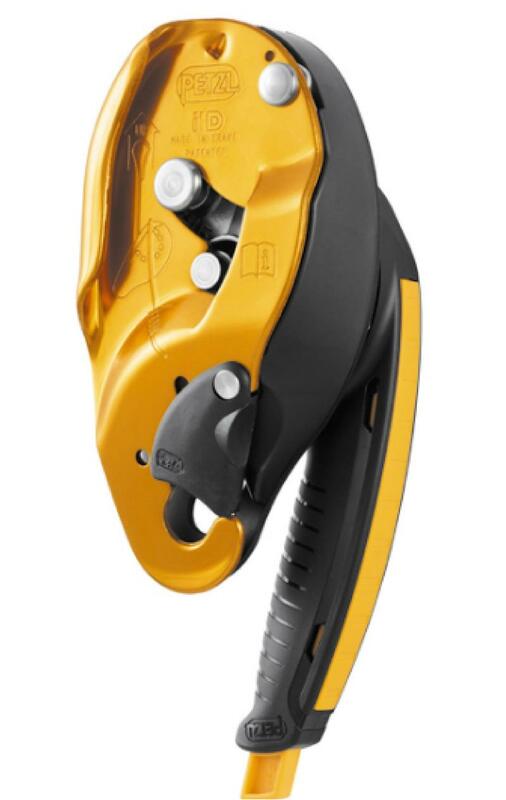 The Petzl I'D descender is a new type of descender along the lines of the Petzl Stop. It includes a mechanical clutch style braking system whereby a large handle is rotated in various orientations to control whether the unit is in descent, stopped, or complete lock-off. The I'D may also be used as a belay device or as a fixed brake lower.